IndyCar teams had a chance to test their aero kits for the first time on Saturday at NOLA Motorsports Park in Louisiana. One of the features of aero kits this year is the ability for teams to remove and change components on their car to separate themselves from other teams with the same manufacturer. Chip Ganassi Racing was one of the first teams we saw that chose to make changes to their kit. 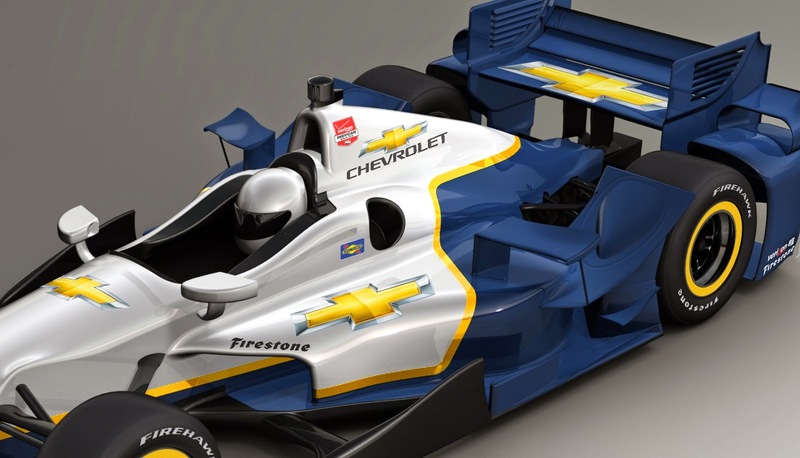 CGR removed the upper flick element that sits on the side-pod of Chevy’s kit. The No. 9 machine ran without the component for all of the session on Saturday. From the images below you can see the car completely lacking the component. The flick on the bumper pod was still on the car. It’s unclear if this design change will stay for the season, but Scott Dixon did top the time sheets yesterday by a little under a tenth of a second. It certainly didn’t seem to hurt his performance at NOLA. All photos courtesy of Chris Owens/IndyCar PR, and Chevy.